The winter. A time for snow, netflix, dry skin, and comfort food- grilled cheese and soup, warm brownie sundaes, chicken pot pie and creamy hot chocolate. Now if you’ve followed me long enough, you know that I’m not against any of these foods. In fact I think it’s important to love the food you eat which includes both unhealthy and healthy, but too much of a good thing is just–too much! So I wanted to give you a peek into 3 meals in a typical winter day for me! And since the rest of my family has to eat, these meals also work for them! Mama isn’t a short-order cook! Plus I can cook in bulk (heyyyy crockpot/pressure cooker!) which I happen to love for the winter so I can freeze in larger batches! I love eggs! I think they are so versatile! 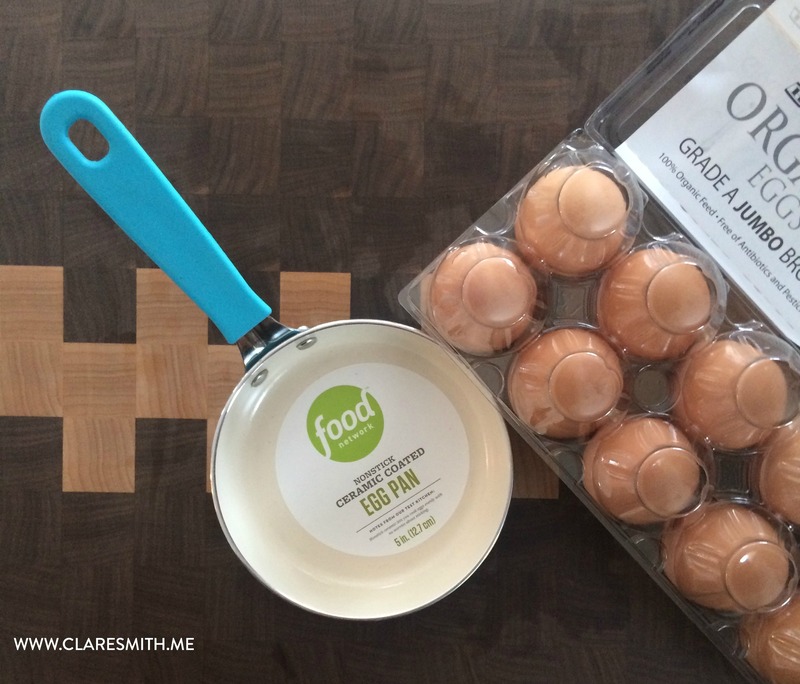 This is one of my favorite combinations and how cute is my little egg pan? I love the color and it is perfect on those mornings I’m just making for myself! Honorable mention: Oatmeal on the crockpot! There are a lot of flavor combinations with oatmeal, but here’s the basic recipe I use for the crockpot at night (or stovetop if I have time in the morning). Toppings/Stir-Ins of choice: fruit, nut butter, shredded coconut, sliced almonds etc. Seen here: fresh peaches and cinnamon! It’s no secret. I don’t LOVE salads, however there are ways that I can love them more and that usually means I’m adding some unique toppings to them! (I just love a CRUNCH!) 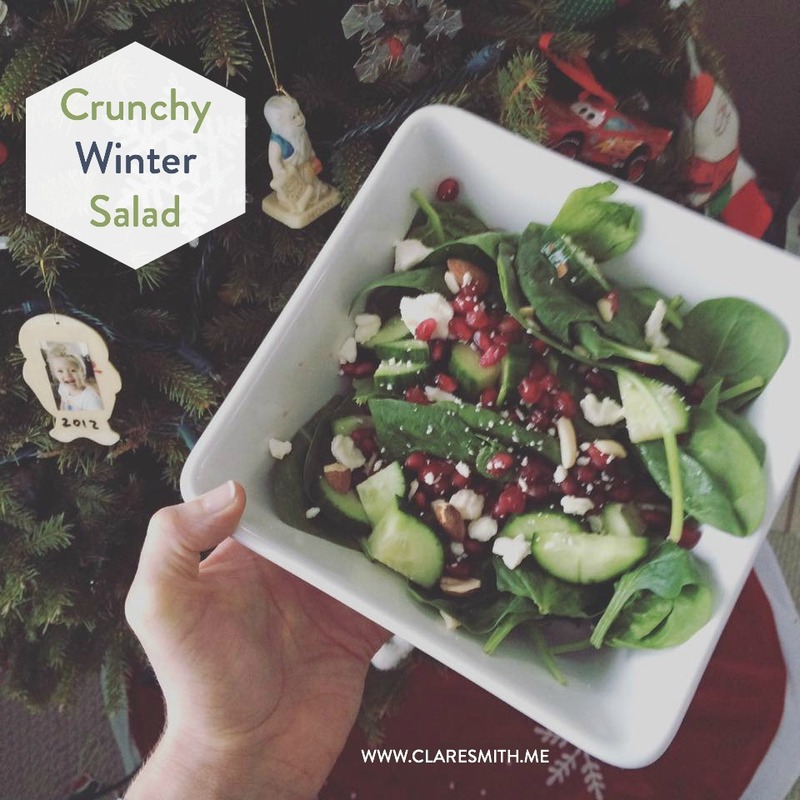 So here is my go-to winter salad! Toss all ingredients together in a big bowl and enjoy the flavor explosion! Tip: I’ve started “bagging” the bagged salads because of all the negative things I’ve heard about them. (And remember this post on instagram? A little extra protein from my salad mix? 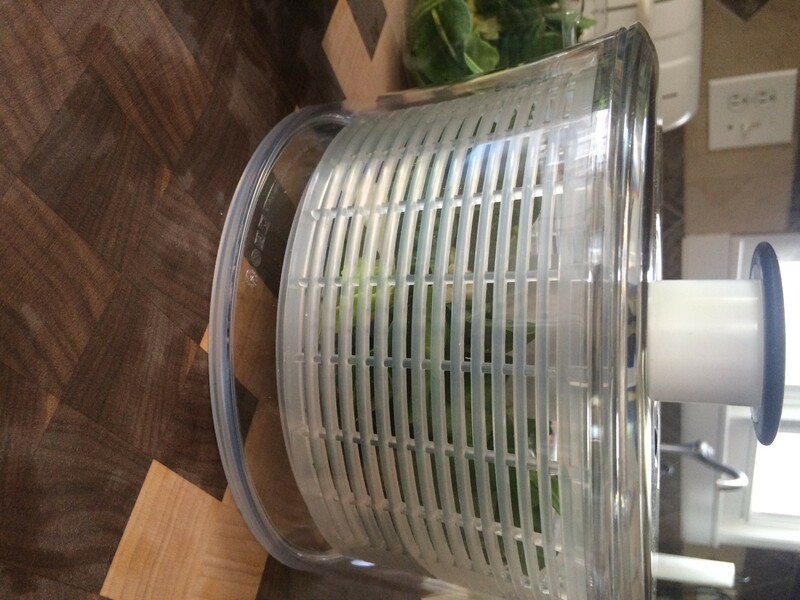 Gross) So I invested in a salad spinner so that I can really rinse out those spinach and romaine leaves when I buy from the produce section at the grocery! So there you go! A very typical winter day’s worth of meals! Now wouldn’t you love a chance to grab some new healthy cooking appliances from Kohl’s? I thought so! Fill out the entries below to have a chance at the $100 gift card! The giveaway ends Monday February 1st. These codes can be stacked! Thank you, Kohl’s for sponsoring this post and giveaway! I love to see your healthy recipes, please keep posting! I have been wanting one of those pressure cookers ever since I saw the infomercial at the gym! I’ll have to check Kohl’s! Thanks Clare! More things on staying committed, rest, and things like your best diet weapon. Love this recipes! Eating eggs that way is one of my favorite ways! What other motivating fitness/ energy tips can you give that help make it through the cold and long winter- and make it through thriving( not just striving)!?!? I think your blog is already very well balanced but I love when you share recipes and practical, sensible nutrition info, so more of that would be great! Simple, healthy recipes and At home workouts. I would love to see more like this post…sample day’s meals. Actually, just more of the same of all you do! You are so encouraging to me, both spiritually and in my quest to improve my health. I am very overweight and out of shape at this point in my life, but I’m working hard to reverse that. Another thing I’d like to see are exercise/workout suggestions and tips for those of us who can’t move as well, “yet” anyway 😉 Thank you and God bless! i’ve been reading for a while. Now its time to start doing. I love your blog. You have a little bit of everything. Just keep it all coming! Thanks for all you do! God bless! Love following you Clare! Love the balance of faith and fitness. You always provide valuable information for spirit and body! I would love to see exercises for people with knee and back issues. I have lost almost 60 pounds without exercise, but am not stuck and I know I need to exercise. I have minimal cartilage in one of my knees (due to arthritis and I have a lower back possible disc issue My trouble spots are my belly/hips area and firming up my legs and arms. 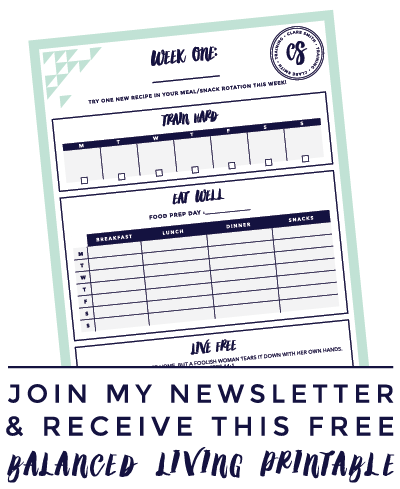 I love seeing recipes, fitness tips, and your favorite things to use for fitness and cooking. I love getting new ideas. Thanks! 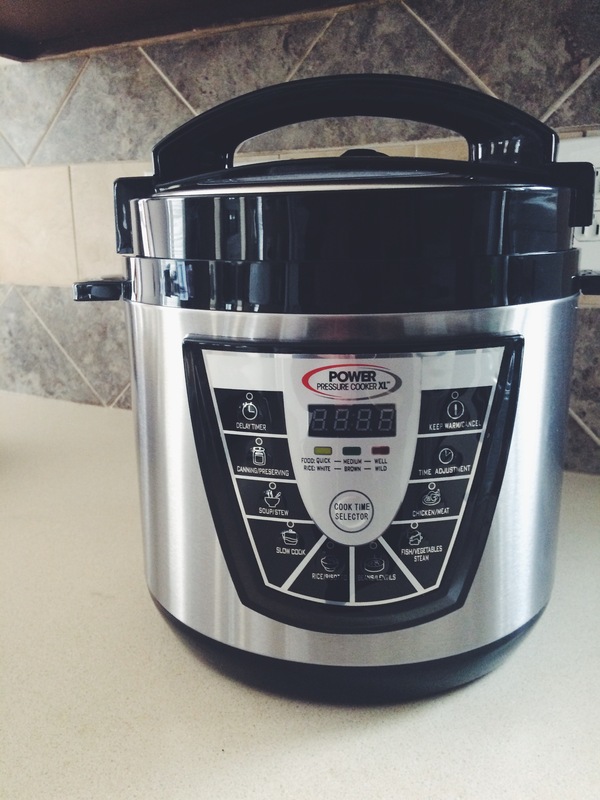 I so loved this post and want a pressure cooker on my want list! I’m always looking for new healthy recipes! Thank you for the ideas!! I am embarking on a clean-eating lifestyle, and I can’t wait to try some of your recipes. And besides that, Kohl’s is seriously my all-time favorite store! Thanks for the offer, and thanks so much for sharing your love for a healthy lifestyle–spiritually, physically, and emotionally! Love these recipes. Any snack ideas? Thank you for all you do, especially holding out the word of God. Super excited to try the veggie beef soup. Hey Clare! Thanks for sharing recipes! Cab’t wait to try these! Thanks for the ideas, Clare! Always looking for new recipes and food combos! Be well! I love simple tips for meals and snacks that may our healthy lives easier. Love avocado with eggs! I’m trying your soup today also! Looks yummy! I have followed you for some time now and I think you have a great balance of information. Keep up the good work! I love having dinner in the crockpot too, but I do struggle with recipes to make in it. Love the crockpot recipe and will be making it this weekend! I absolutely love following your blog! I REALLY enjoyed this post. Although my kids are picky I think they will like the vegetable soup. Recipes that are family friendly are always appreciated! I personally love your challenges, even if you didn’t do it as a group maybe you could give us ideas for weekly/monthly challenges to do on our own. Never thought about using avocado with egg like that. Great ideas here. Thank you! With having a family of 6 I’m always looking for quick and easy ways to prep meals that are healthy. I use my crock pot alot. This pressure cooker looks amazing. I have one but it’s an older version and just don’t use it very much. Keep sharing your great recipes and tips! I love these ideas and would love even more! There are SO many different voices out there telling me what to eat / what not to eat that I would love to hear more from you – as a trusted healthy Christian. 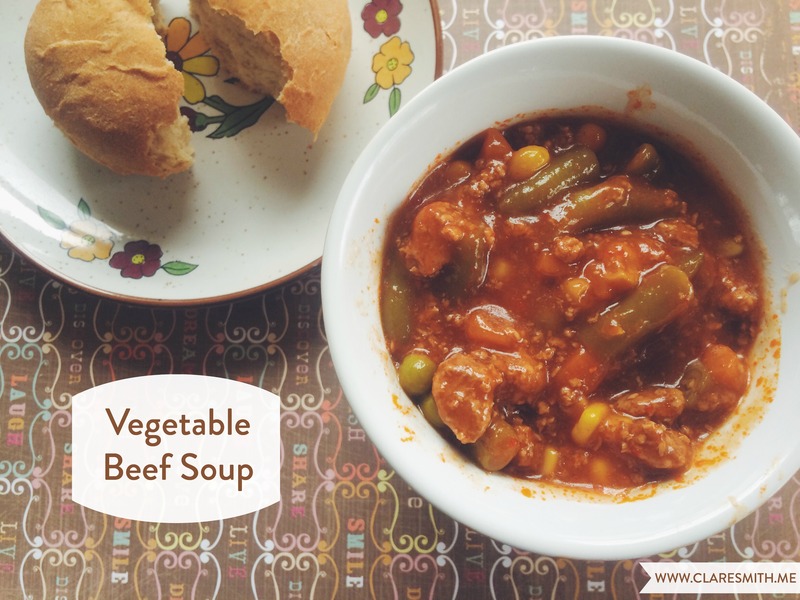 I have just recently started following you so I’m not sure how much you already have, but I’d love to see easy recipes with basic ingredients that kids would eat too, like your vegetable soup here. 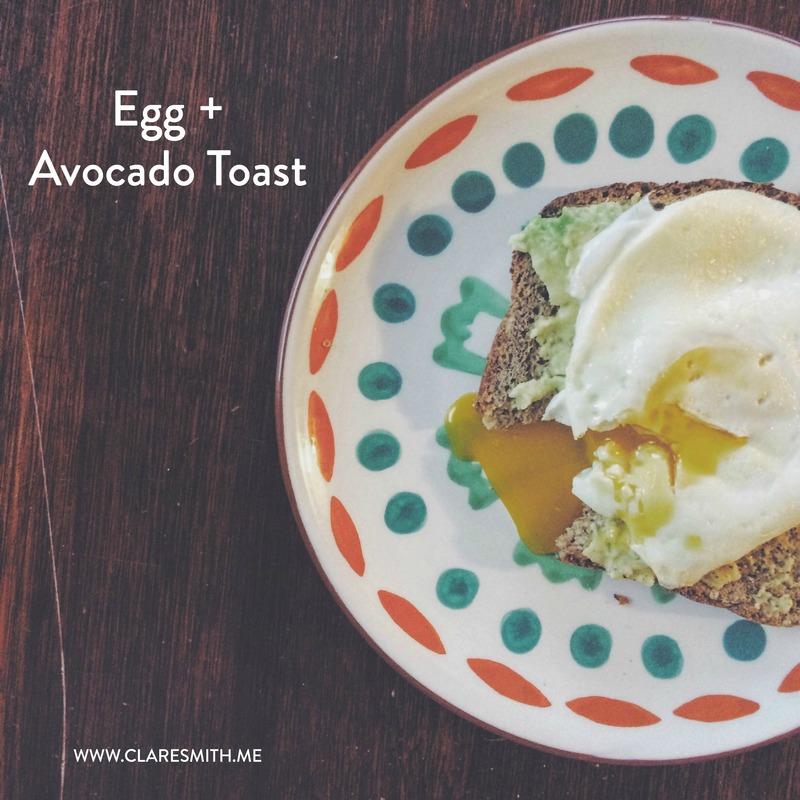 Clare, I love the healthy recipes … Keep them coming. Plus some of your meal prep tips would be great! I’ve always wanted to try a pressure cooker and I love the idea of crockpot oatmeal! Thanks for the great meal inspiration! As a full time working mom I’m always looking for quick on the go menu options that are healthy at the same time. Also any great easy, not to time consuming exercises are appreciated. Thanks for these great recipes and giveaway! Love your blog Clare! When will we see a new work out video? I really like the ones you have posted so far….quick and actually fun! I’d like to see healthy recipes for busy moms. Love these healthy recipes and ideas! Thank you! I enjoy your challenges. Some no meat protein meal ideas. Thanks for the quality you publish. I love this post. 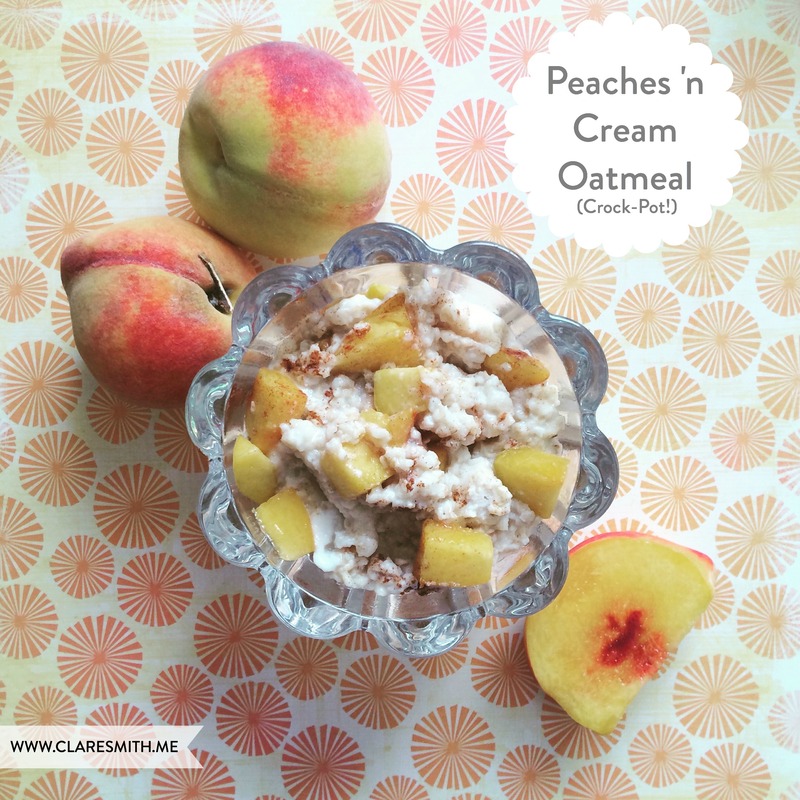 I can’t wait to try the peaches and cream oatmeal! That beef stew looks delish!!! Thanks for the healthy recipes. I’ve gotta try them! They look delicious, thanks! Love to see more of your easy/quick meal ideas for working moms. Also, how to squeeze in work out times. I am so blessed by your encouraging words and scripture:) Thank you. Thanks for your wonderful encouragement. Just had my 6th baby 2 weeks ago & that along with nearly dying delivering him, I’m not back to working out, yet, but I appreciate seeing your ideas for healthy meals, etc. I love to see recipes (that people actually want to use)! I have been wanting an electric pressure cooker. I never thought about It cooking brown rice and quinoa. I would love to see more simply healthy recipes. I also love soups, it’s great because I put in veggies the kids would normally stick their nose up at and they don’t even know it’s there. I’m a fan of the healthy recipes and movement ideas that are simple and straight-forward. Thanks for the opportunity, would love to try out the pressure cooker! i would like to see some healthy kid friendly recipes. Great ideas! Looking forward to making the soup! I like good practical reminders to help us stay focused and make small steps every day!!! Please keep the healthy and delicious recipes coming!!! I have 3 small kids and a hubby to feed at least 2 times a day, 7 days a week and I get stuck in a rut sometimes having to come up with meal plans. We love new recipes!! I’d love to hear a review on the Daniel Plan; I’ve been seeing it everywhere but am thinking it may be too “formal” for me. 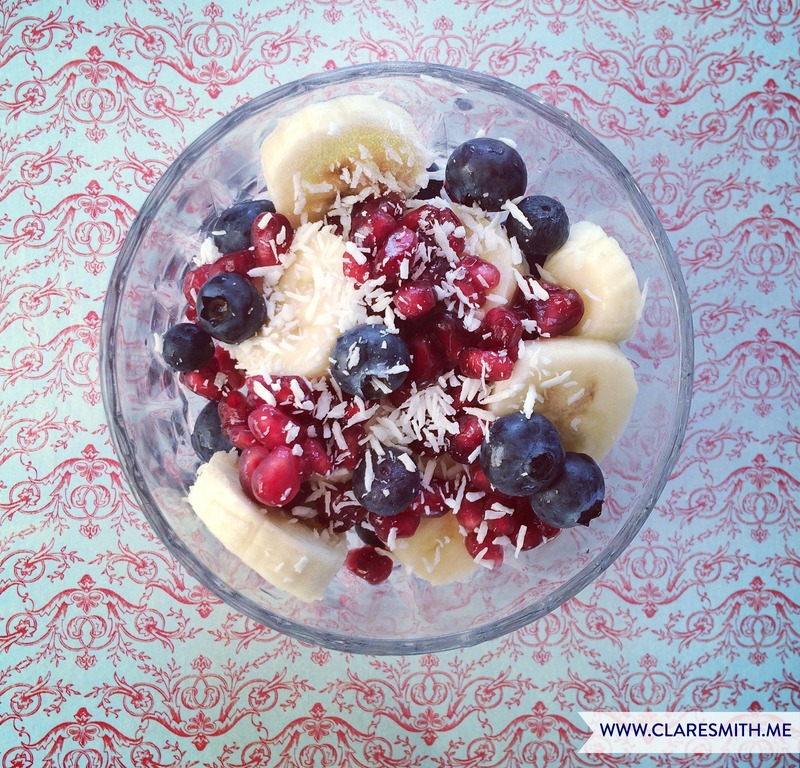 I totally agree about seeing more heathy options for eating…keep them coming! I work 2nd shift and would love some recipes or ideas for brown bag it options for supper (that don’t feel like lunch)! I want to see more of the same! More encouragement to live a healthy, balanced life. Nice giveaway! Thanks for the opportunity! I also loved your new normal post so much!! Every recipe looks delicious! I think I’ll try oatmeal in the crockpot tonight. Awesome recipes shared by you. Keep sharing delicious ideas foe food. My family love Egg & Avocado Toast.